Item number B471 from the MOA: University of British Columbia. 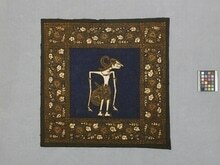 Textile, square in shape, with a border in brown and beige floral design on black. 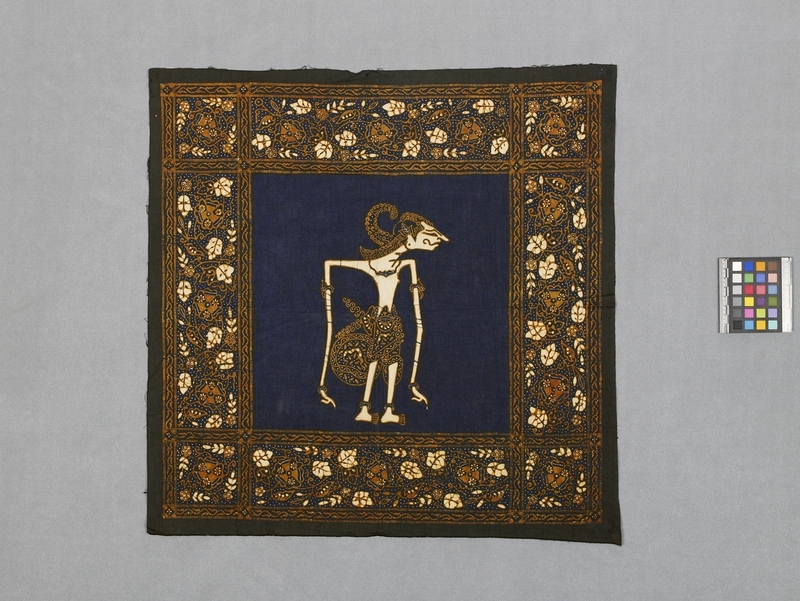 Centre panel depicts a wayang puppet in profile in brown and beige on dark blue ground.